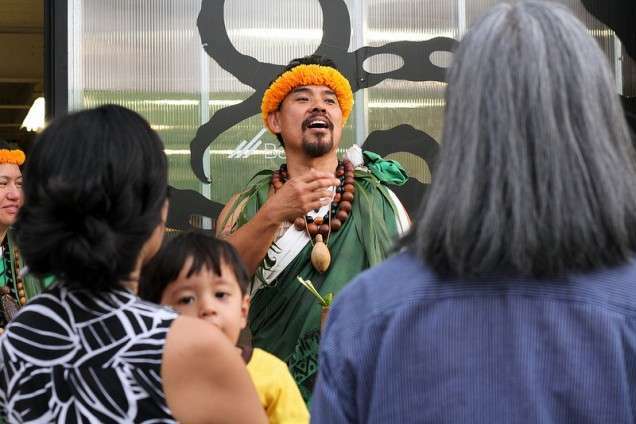 On a warm and still Friday afternoon, KUA supporters, friends, and ‘ohana gathered outside the doorway of The Box Jelly to observe the blessing of the KUA office space. 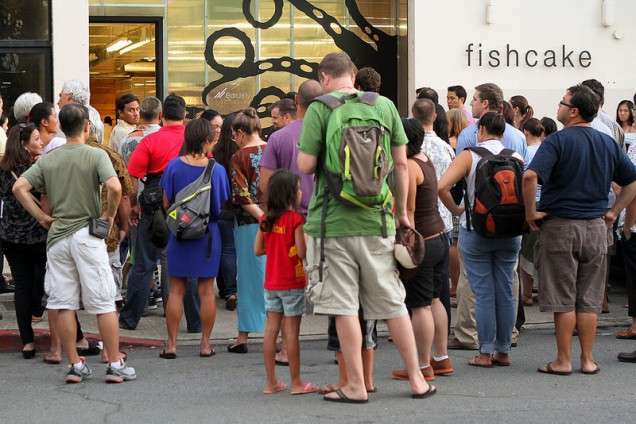 As the sun set and the air cooled, everyone reflected on the significance of the event, and when the kahuna concluded the blessing, the crowd entered through the doorway to fill the space of The Box Jelly with their good energy. 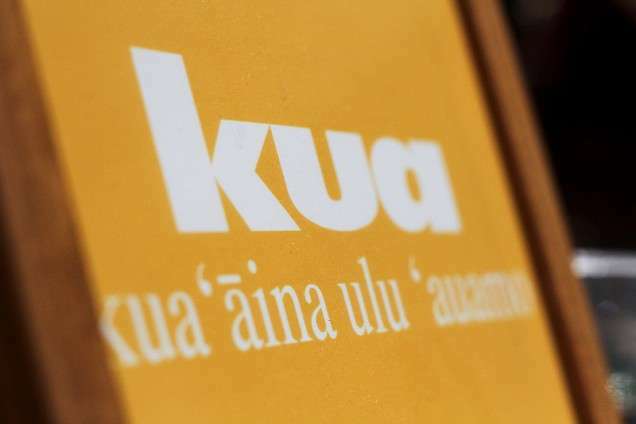 The celebration of KUA continued with generous contributions of music, food, drinks, and stories. We were even able to hear from E Alu Pū community members, some of whom came all the way from their home islands to share their stories! 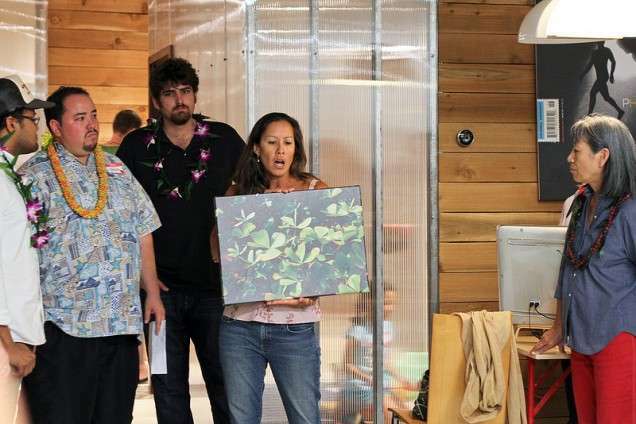 Mahalo to everyone who made the event a success – The Box Jelly staff, kahuna, musicians, cooks, carriers, baby-sitters, huggers, KUA board members, E Alu Pū communities, and everyone else who filled our office space with positivity! 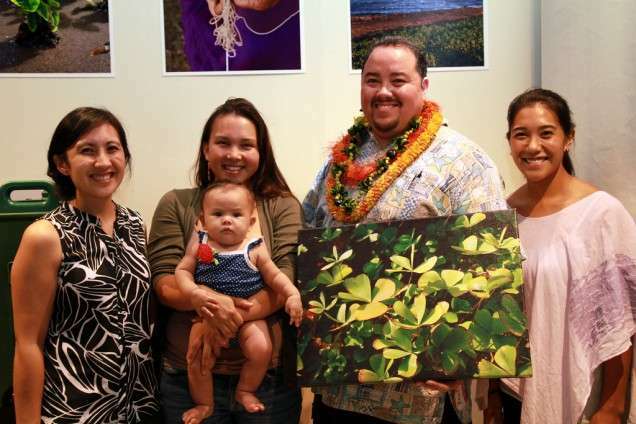 Also, mahalo to photographers Kim Mua and Tina Aiu – check out some photos here. ← Hello, KUA. Nice to meet you. Awesome project Kev and Miwa. Looking forward to a long association with KUA and NHLC! Mahalo for your encouragement, Alan! Hope all is well with you and NHLC!